Take your neck massage into your own hands - without effort. The Homedics Shiatsu neck massager is ready for it. Equipped with a comfortable, soft protective cover and powerful Shiatsu massage heads, it also provides relaxing warmth. The heat is not very warm on the skin, but it reaches deep into the muscles. 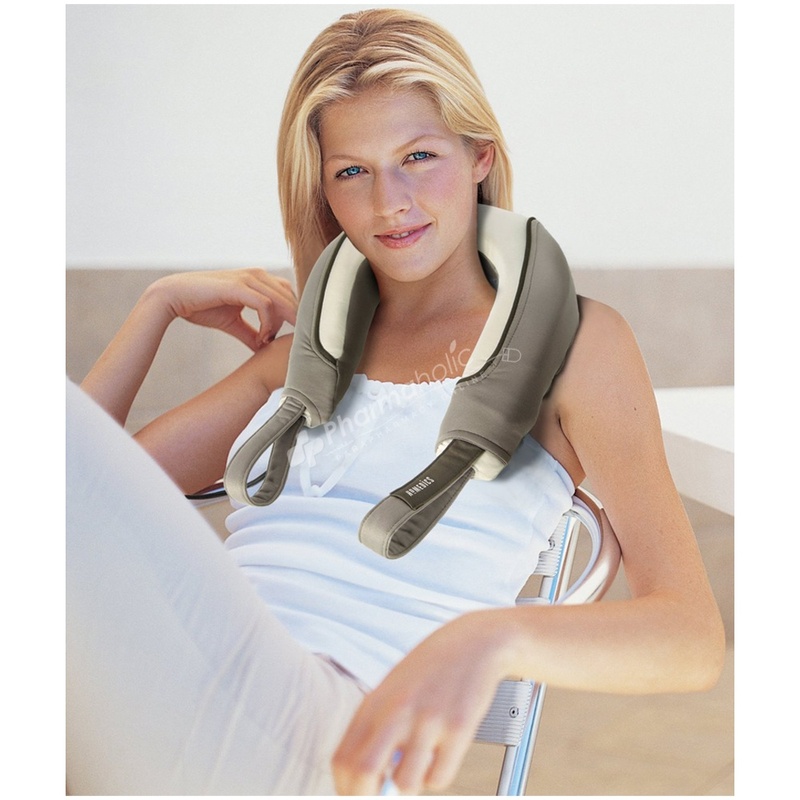 The neck massager NMS-250 is designed for a targeted neck massage. Thanks to its flexible, soft and ergonomic shape, it adapts well to the neck structure. With the two handles you can adjust the massager easily and, if necessary, increase the massage intensity by pulling the neck massager closer to the neck. The switchable heat function helps your neck to relax. Shiatsu is a based on a (finger) pressure massage technique that also helps to dissolve energy blockages. Since the neck and shoulder area are especially susceptible to tension, with a focused neck massage you will help your body to recover rapidly. - This you can even practise in the office, since the neck massager does not weigh much and is easy to transport. The two practical handles make the application very easy. Choose your massage program simply by pressing a button: you can select the Shiatsu massage or Shiatsu in combination with heat, so that your neck will relax even better, and the massage can release its full effect.